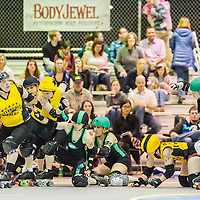 The (23) Ohio Roller Girls defeated (22) Steel City 246-162 on April 6th at the Lausche Building for their sixth victory of 2013. 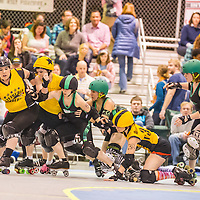 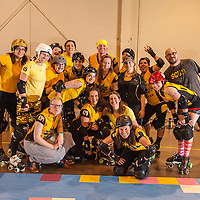 The OHRG quickly got ahead 109-2 just ten minutes into the bout and continued to lead at halftime, 129-74. 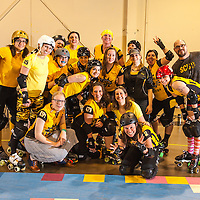 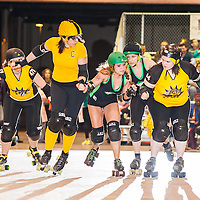 A back and forth game during the second period saw Steel City close the gap, but Ohio remained composed, securing the upset 246-162. 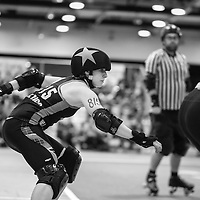 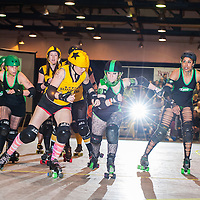 In the preview bout, Ohio's Gang Green lost to Steel City's Steel Beamers by 33 points. 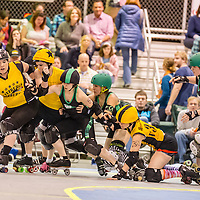 Gang Green found themselves ahead 59-11 midway through the first period, but a string of lead jammer designations to the Steel Beamers allowed them to finish the half ahead of the local crew, 92-72. 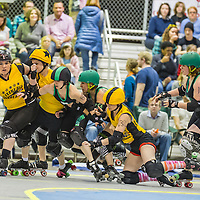 The second half witnessed runs by both squads, but it was the visiting ladies from Pittsburgh who secured the victory, 189-156. 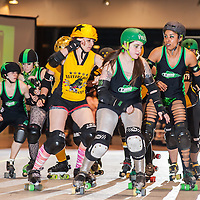 Bout MVPs from each team were Phoeniz Bunz (OHRG), Bonecrusher (Steel City), Pearl Rogi (Gang Green), and Shockratease (Steel Beamers).